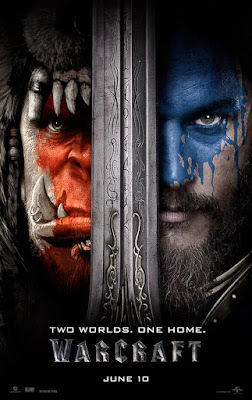 Warcraft is a Universal Pictures and Legendary Pictures release that is based off of the popular video game franchise produced by Blizzard Entertainment. The fantasy adventure film features acting performances from Travis Fimmel, Paula Patton, Ben Foster, Dominic Cooper, Toby Kebbell, Ben Schnetzer, Robert Kazinsky, Clancy Brown, Daniel Wu, and Ruth Negga. 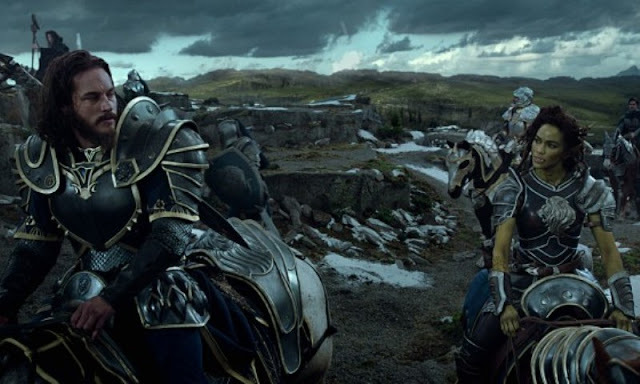 An army of orcs is sent from their dying world to conquer the peaceful realm of Azeroth thanks to a dark magical power wielded by Gul'dan (Daniel Wu), a corrupted orc shaman. With their kingdom facing its first real test in many years, the men and women of Azeroth must join together and fight off this new threat before the full orc army can be unleashed on their lands. As danger closes in from all sides, an unexpected partnership may help turn the tide even as old alliances begin to falter. 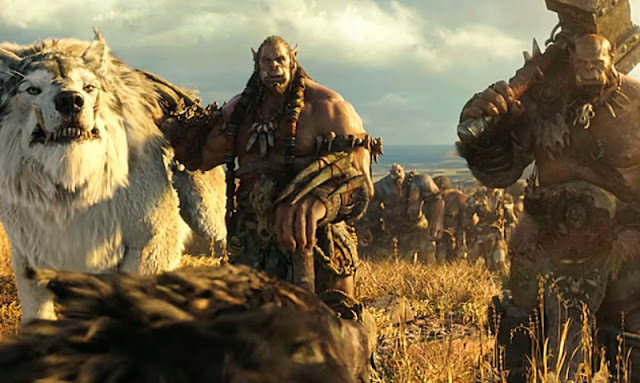 I have never played the video game World of Warcraft and I really didn't know much about the story other than it is set in a fantasy world filled with men, orcs, elves, and dwarfs similar to that of The Lord of the Rings. 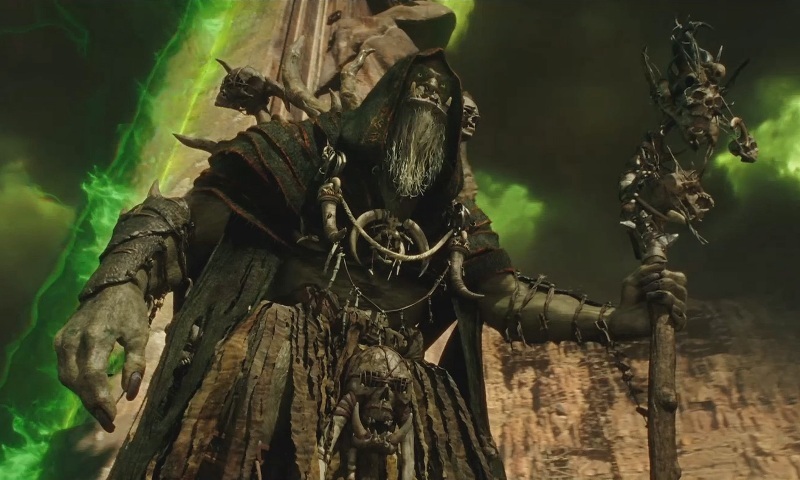 That being said, I feel like the creative team behind this film did a really good job of allowing newcomers to the franchise to settle in without having to know lots of backstory and history. The story is pretty straight forward with a classic good versus evil plot although there is a lot of intrigue and mystery to keep things interesting. You can tell there is a rich background to what is being told and everything seems to be setting up for something bigger and better down the road even while telling a solid story on its own. Visually, this is a beautifully crafted film that immediately drops you in to a fantastic world that is so rich and lush, it really feels like it could exist in some other dimension or reality aside from our own. Most importantly, it never feels like a cartoon or video game, ironically I suppose, which is nice because otherwise it wouldn't have been nearly as entertaining. It's also really nice to have a movie that doesn't pander to the audience and shoot for multiple demographics to build box office potential. The battles are rough and brutal without being overly gratuitous and any romance is natural to the story and none of it feels shoe horned in or manufactured. One thing you will notice, it there isn't much time spent on getting to know each of the characters which is mainly because there are so many and you really don't want this to end up being a three hours movie so, for me, it was just fine. 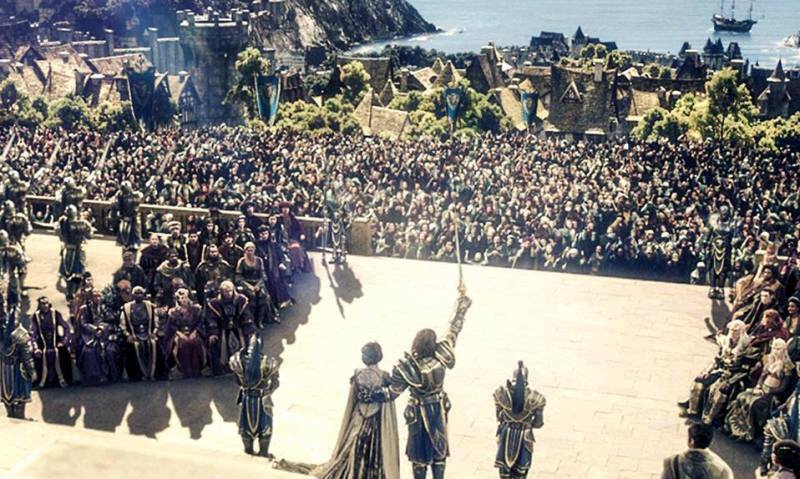 Warcraft is a well crafted first installment in what is sure to become yet another blockbuster franchise for Hollywood to take advantage of. Even without a mega star powered cast, the film still has that big event feel to it and is absolutely worthy of being seen on the big screen. I did not see the movie in 3D or IMAX so not able to give any information on either of those options. What I can say is that it was thoroughly entertaining and looked amazing as cold be in the standard 2D format so, any way you go will be a good option.